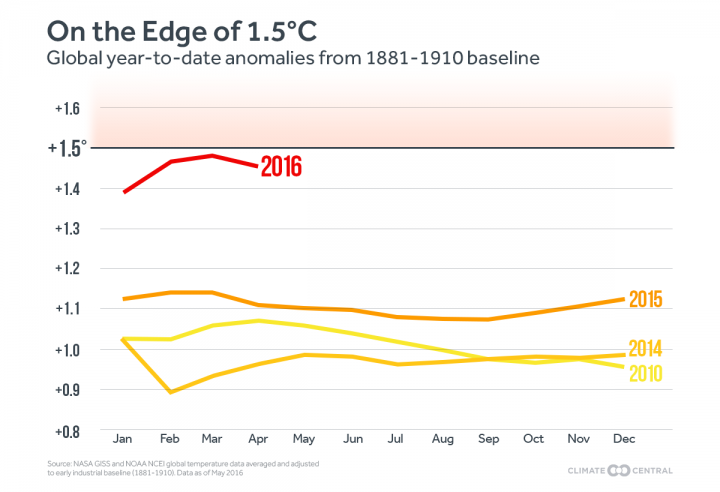 Odds are increasing that 2016 will be the hottest year on the books, as April continued a remarkable streak of record-warm months. 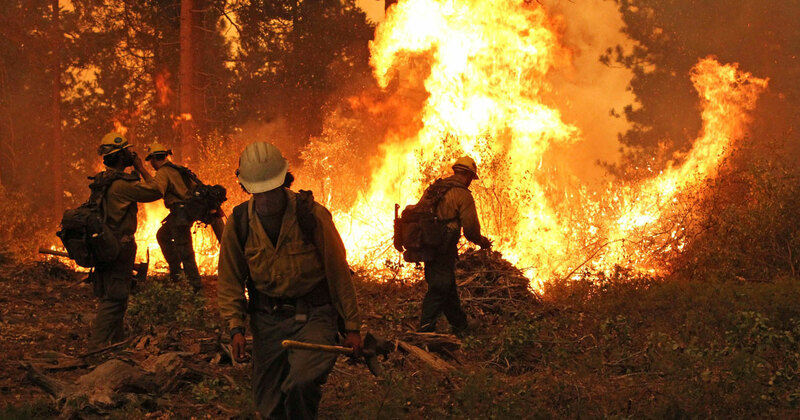 Last month was rated as the warmest April on record by both NASA and the National Oceanic and Atmospheric Administration, which released their data this week. 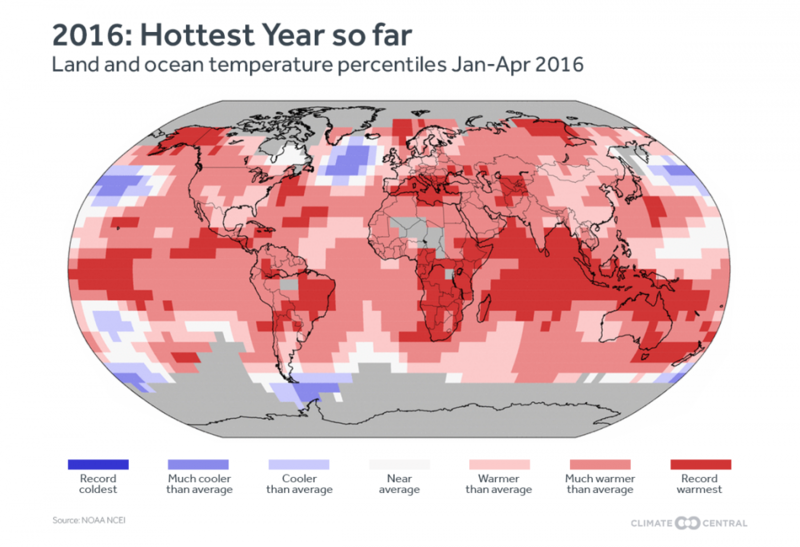 In the temperature annals kept by NOAA, it marked the 12th record warmest month in a row. 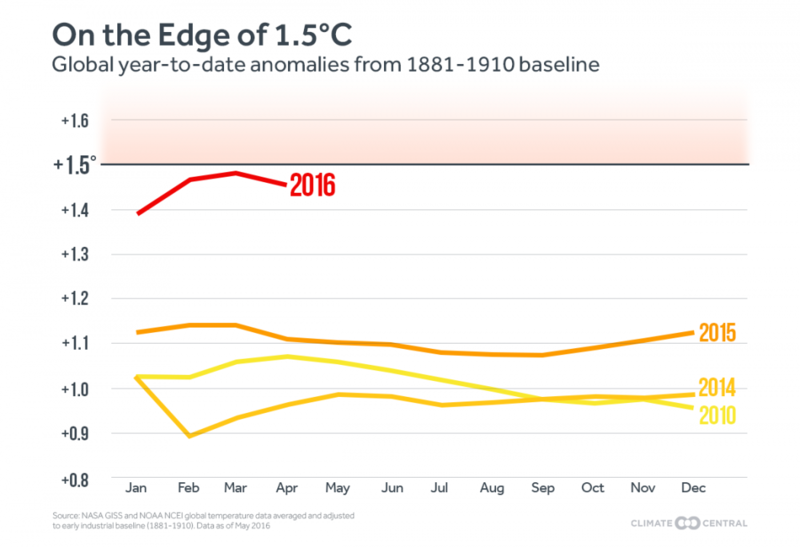 How global temperatures have differed from average so far this year. NOAA announced its temperature data for April on Wednesday, with the month measuring 1.98°F (1.1°C) above the 20th century average of 56.7°F (13.7°C). It was warmer than the previous record-hot April of 2010 by 0.5°F (0.3°C). NASA’s data showed the month was about the same amount above the average from 1951-1980. The two agencies use different baselines and process the global temperature data slightly differently, leading to potential differences in the exact temperatures anomalies for each month and year. Both agencies’ records show that global temperatures have come down slightly from the peaks they hit in February and March, which ranked as the most anomalously warm months by NASA and NOAA, respectively. 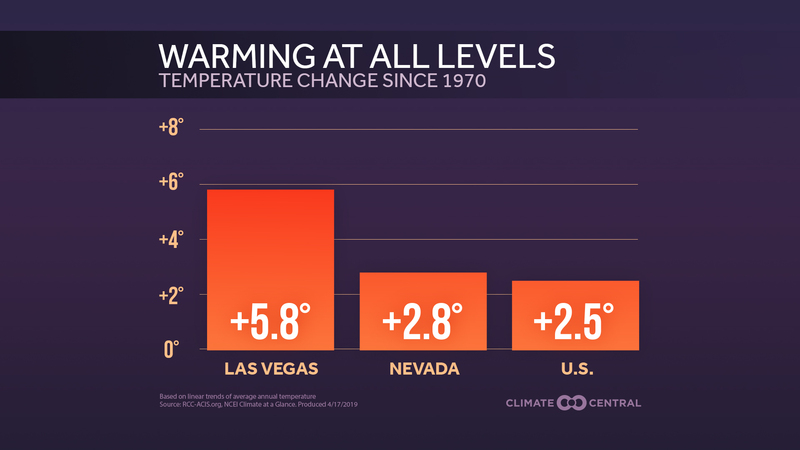 Climate Central has reanalyzed the temperature data from recent months, averaging the NASA and NOAA numbers and comparing it to the average from 1881-1910 to show how much temperatures have risen from a period closer to preindustrial times. The analysis shows that the year-to-date temperature through April is 1.45°C above the average from that period. Governments have agreed to limit warming this century to less than 2°C from pre-industrial times and are exploring setting an even more ambitious goal of 1.5°C, which temperatures are currently close to. “The fact that we are beginning to cross key thresholds at the monthly timescale is indeed an indication of how close we are getting to permanently exceeding those thresholds,” Michael Mann, a climate scientist at Penn State, said in an email. 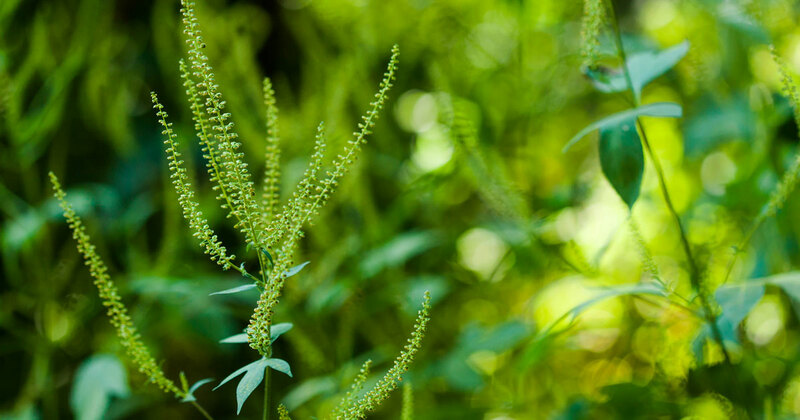 It will take a significant effort to further limit emissions of carbon dioxide and other heat-trapping gases to realize those goals, experts say. Carbon dioxide levels at the Mauna Loa observatory in Hawaii are already poised to stay above 400 parts per million year-round. They have risen from a pre-industrial level of 280 ppm and from 315 ppm just since the mid-20th century.